One more month before starting a brand new school year! I can’t believe how fast summer is going by! I know that some of you all already started shopping for work, or maybe you are like me! Waiting a few more weeks hoping that you will lose the last ten pounds prior to going back to work! Lol, I always say that before going to work. 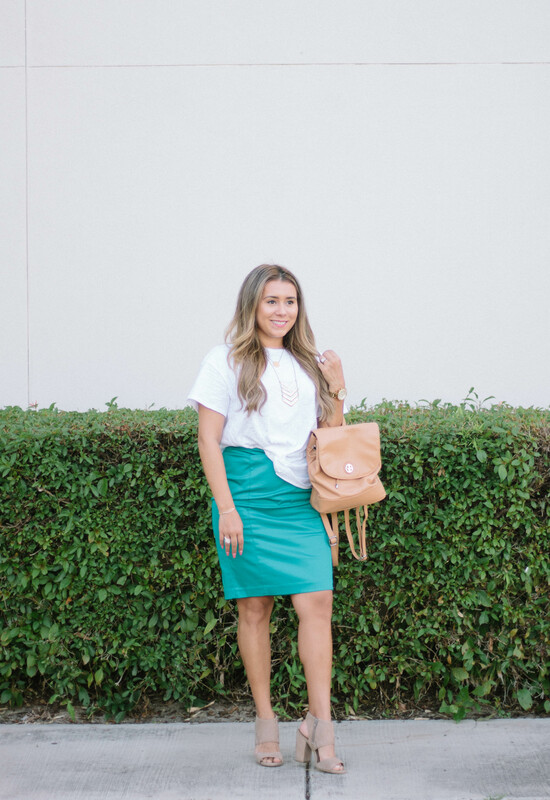 Well, today I am sharing how you can take a simple white t-shirt and dress it up throughout the year. My students always assume that I’m wearing something new every day and truly, I am not. I do a lot of mixing and matching throughout the year so it looks like I didn’t wear the same outfit. 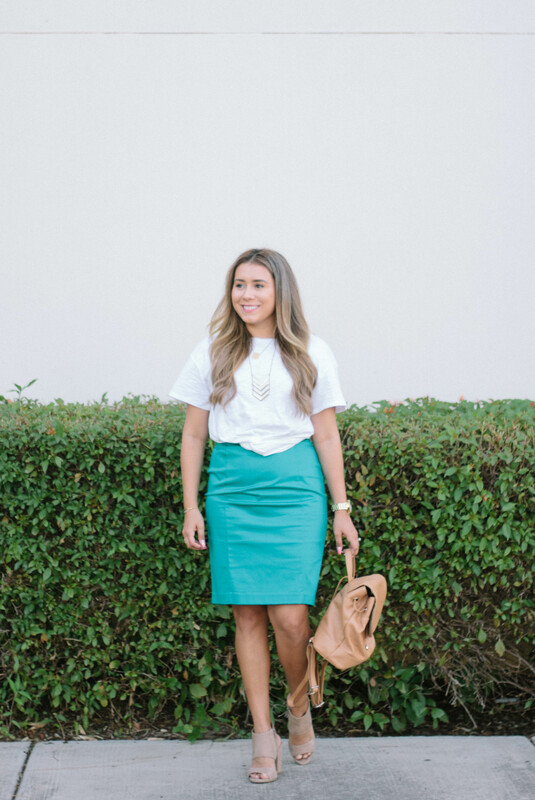 My favorite and easy to go outfit is to pair a basic white tee with different skirts I own. Of course you can do this with any solid tee you own. 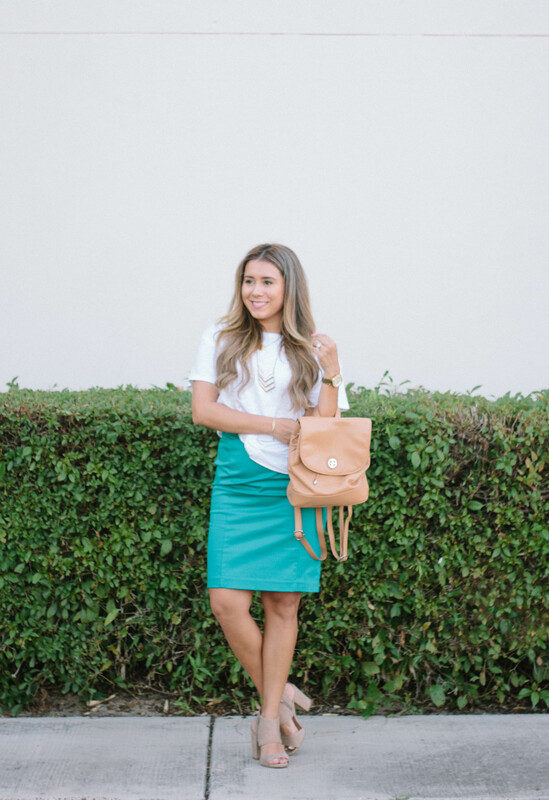 It’s always nice to have different colors of tee so you can pair them with skirts or pants. 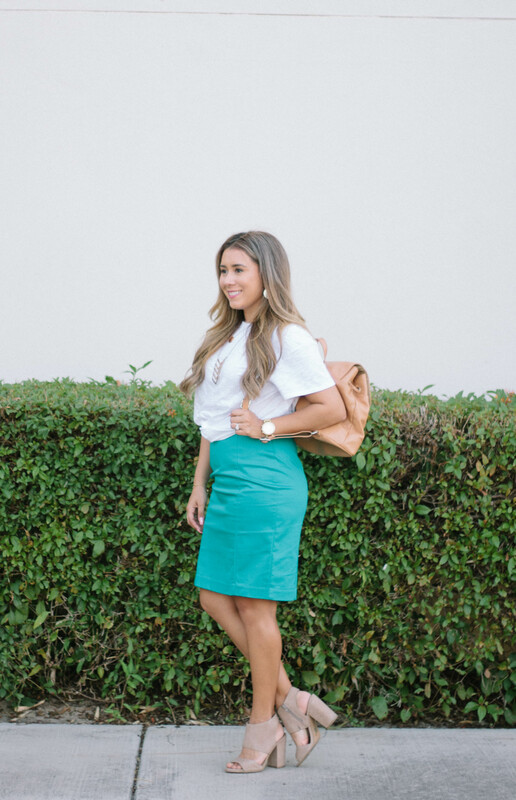 If you notice on the photos above, I styled the white tee in different ways so that you can try when switching out the skirts. 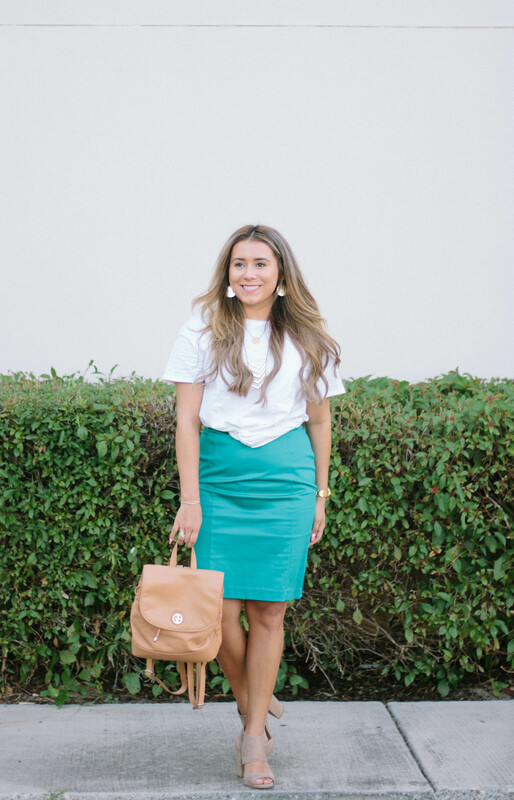 One style consists of me wearing the white tee out of the skirt, the other is tucking only one side inside the skirt, and lastly, I have one where I tucked the entire tee into the skirt. Which ever you prefer would look nice, but trying different ways also makes your tee look different, hence different outfit each time! I hope you enjoyed my fashion tip when styling a white tee for work. 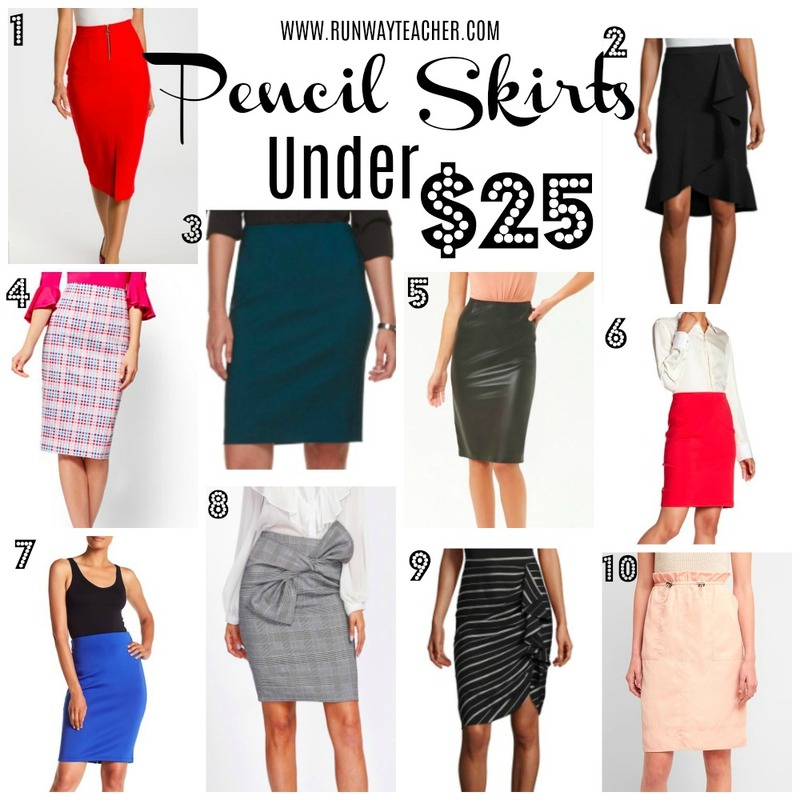 Besides linking the items I am wearing, I decided to share a few skirts under $25 that would be nice to own and easy to pair with a white tee! Let me know which is your favorite on my comment section below.